Reminders about some recent videos we made, etc. 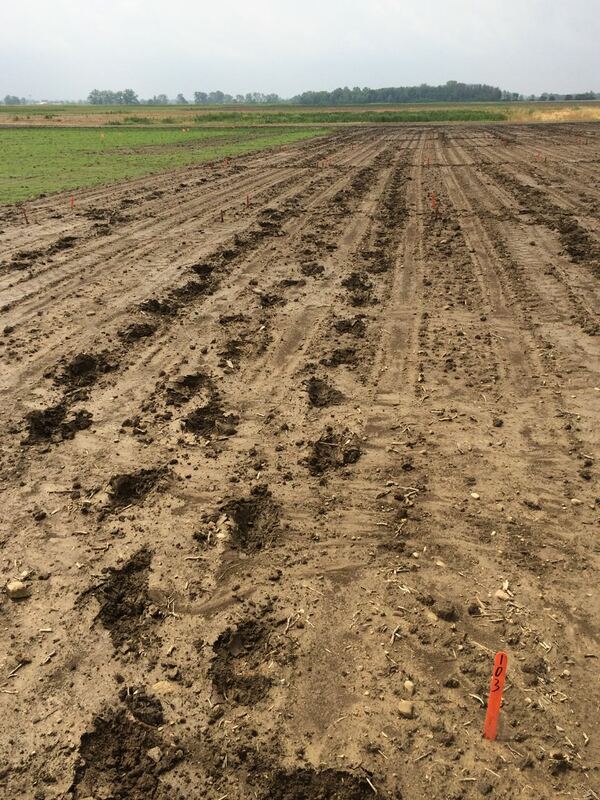 First, corn replanting is in full swing in areas due to the effect of previous cold and wet weather on stands. 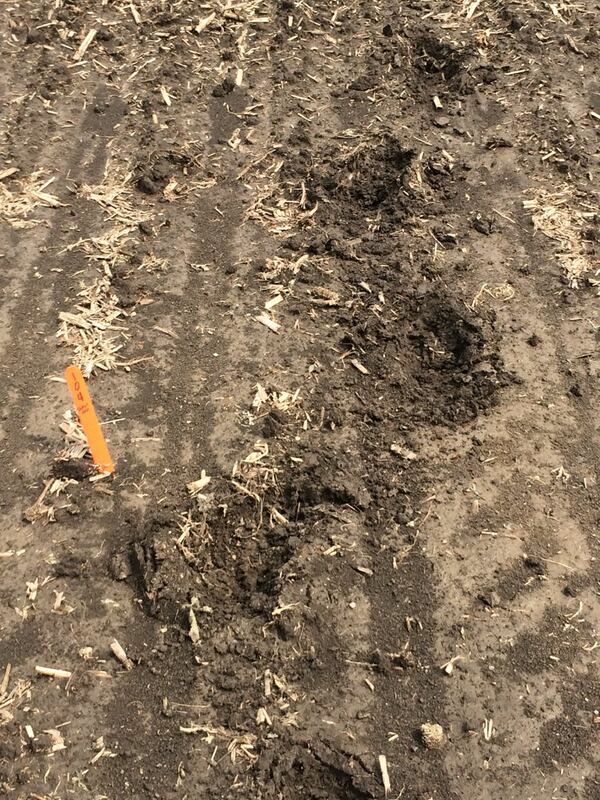 It’s important to kill the first stand of corn to make room for the second. 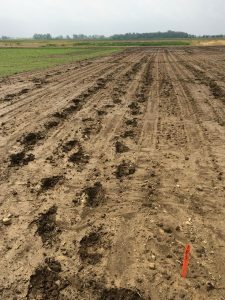 If not removed, plants from the first stand essentially act as weeds in the second planting. Research we conducted with Purdue in 2009-10 showed that yield of the second planting was maximized most consistently when it developed in the absence of plants leftover from the first stand. The following video summarizes methods of killing the first stand. 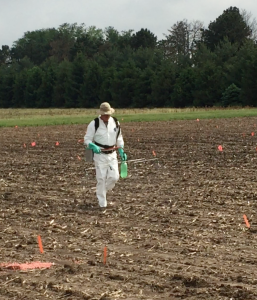 We also made a follow up video on control of larger marestail with burndown herbicides. 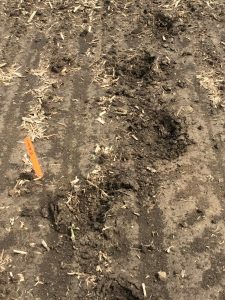 In this one, we walked through our research plots a couple weeks after most of the burndown treatments were applied, and reviewed effectiveness of the herbicide combinations we listed in the first video (which can be found in May 5 blog post below). And finally, in the category of “not everything goes the way it was planned”, we have a few photos from our spray day at OARDC Western Ag Research Station last Friday. We planted all of our soybean plots last Wednesday, and needed to get the preemergence herbicides on as soon as possible to ensure they received a timely rain. Well it was too windy to spray the next two days and then the station received two inches of rain late Thursday, turning the place into mud. Knowing that there was more rain coming, we opted to go ahead and wade through the mud to get the plots sprayed. Had to wait for water to drain on some of it. Not ideal for sure but the use of backpacks and handheld booms allowed us to go where it would have been impossible for anything motorized to go. Stuff happens. Posted by loux.1@osu.edu at 1:30pm Bookmark the permalink.